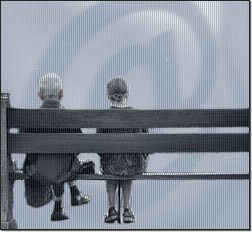 Final users addressed by Solten are Seniors aged 50 and upwards. The target group was thoroughly studied in Italy and Austria, with the objective to cover the whole of Europe: the number of senior citizens is steadily growing (120 million in 1999) and they are interested to communicate with others and their family, take up or foster hobbies and leisure activities, improve their knowledge, engage in charitable initiatives, optimise relationship with local public offices, monitor their health habits and, more generally, share their wisdom of life with others. The Internet is an ideal communication mean for Senior: easily available from home, comprehensive, allowing an easy feed-back (communication and purchases), controllable and able to protect privacy. Seniors have time and money to devote to the Internet activity and only need more support in order to discard the inhibitions they harbour.